Create beautiful, engaging, screenshots for your apps and maximise your downloads. Screenshot Creator makes it easy for you to design your own professional looking screenshots that will impress and inform your users; no design skills required! It’s never been more important to make the images on your app listing as enticing as possible. It’s at the forefront of your listing and it can make all the difference between a user deciding to download your app or to keep scrolling. 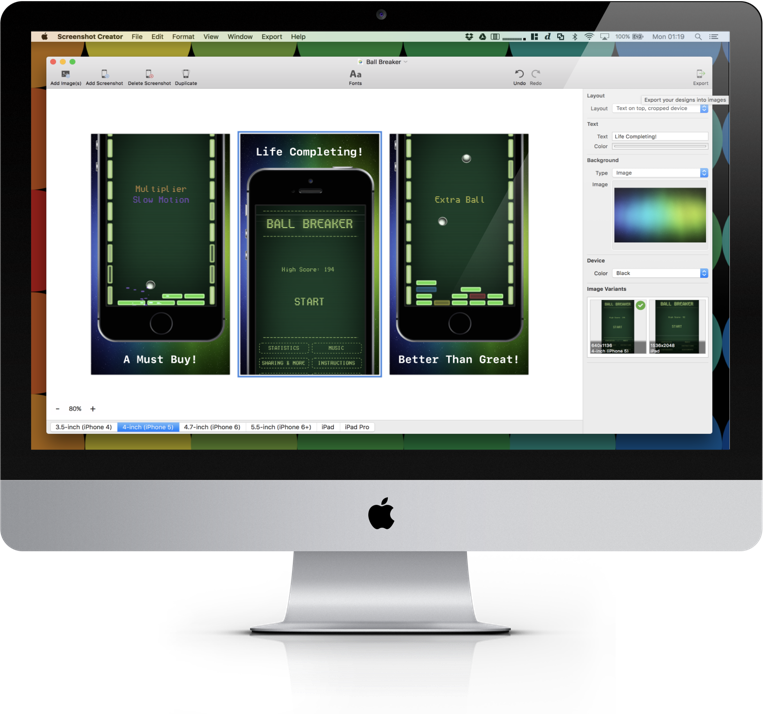 Screenshot Creator’s aim is to make producing screenshot designs as simple as possible. All you need to do is drag in the screenshots taken on your simulator or device and Screenshot Creator will resize and frame them in the best suited iOS device; you just need to add captions and you’re done. You’re free to rearrange the layout, adjust the backgrounds, change the fonts and more; the results are instantly visible. 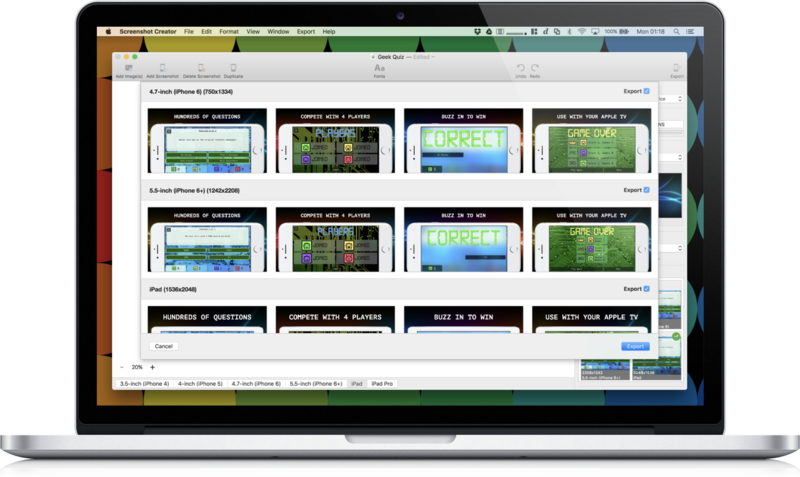 When you’re ready to export your screenshots, Screenshot Creator will batch export all of them into the optimum sizes for display on the AppStore. You’ll get a set of screenshots sized for each device with the screenshot showing in the frame of the device that supports that resolution; meaning the customer viewing the app on the App Store will see the screenshot framed in the device that matches their own. You only need to supply a screenshot at a single size but if you have various sizes you can add variations and Screenshot Creator will match these and use the most appropriate size for each export.